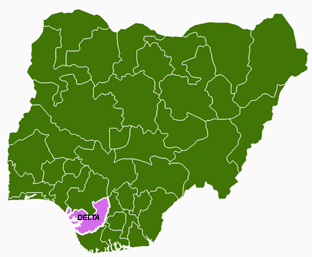 LEADERS from Tuomo community, Burutu local government area of Delta State have vowed that they would resist any attempt to change the name of their nominee for the position of supervisory councilor for Burutu council. The leaders made up of a former majority leader of Bendel State House of Assembly, Prince Okpabeni Johnny, chairman of the community, Ozidi Seaman and the traditional ruler of the community, HRH S. Emopko made the charge while briefing newsmen at the end of an emergence meeting at Warri. They alleged that a former minister was putting pressure on the state governor and party chairman to change the name of their candidate whose name has already been sent to the Burutu legislative House. In a communiqué signed by Johnny and Seaman at the end of the meeting, they threatened that any attempt to bring an unpopular person for the position of supervisory council, would spell doom for the PDP in the area. The post Community leaders vow to resist attempt to change councillorship nominee appeared first on Vanguard News.